PRESIDENTIAL STAFFER, Charles Cromwell Bissue, has dared investigative journalist, Anas Aremeyaw Anas, to produce the ‘raw unedited footages’ of his galamsey exposé to aid in the criminal investigation involving him (Bissue). 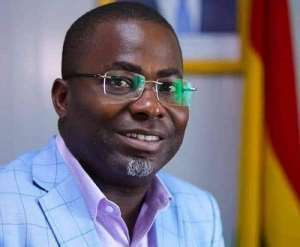 Mr. Bissue stepped aside recently as secretary to the Inter-Ministerial Committee on Illegal Mining (IMCIM) after Mr. Anas aired a documentary in which he was caught allegedly taking bribe to allow a company carry out mining activities during the ban on all small scale mining in Ghana. Mr. Anas claimed he and his team bribed Mr. Bissue with the amount of Ghc 35, 000. On Friday, 15 March, 2019, Mr. Bissue indicated that he was invited by the Criminal Investigation Department (CID) of the Ghana Police Service to help them with their investigation to the said case.